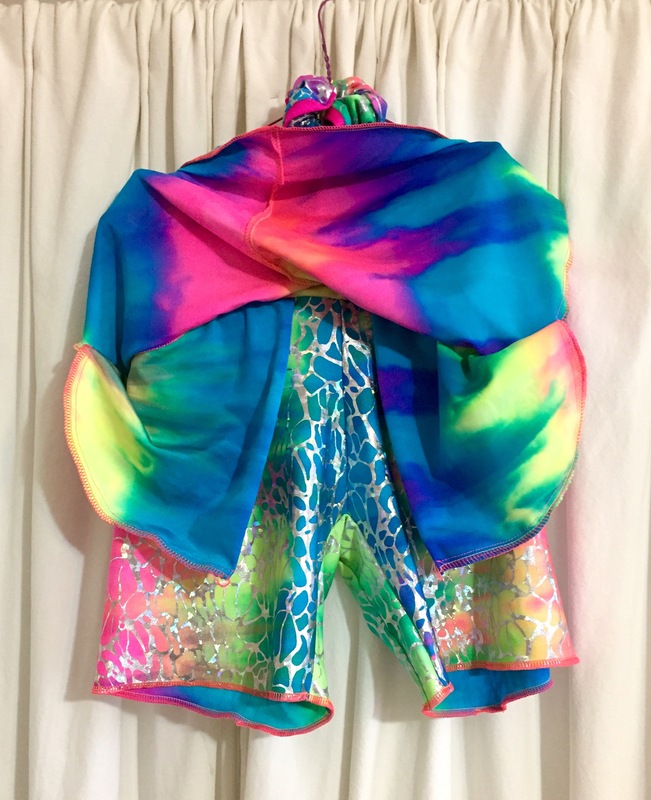 I always enjoy making outfits for friends: working on the fit, imagining how they will energize the garments, what kind of adventures they will find. 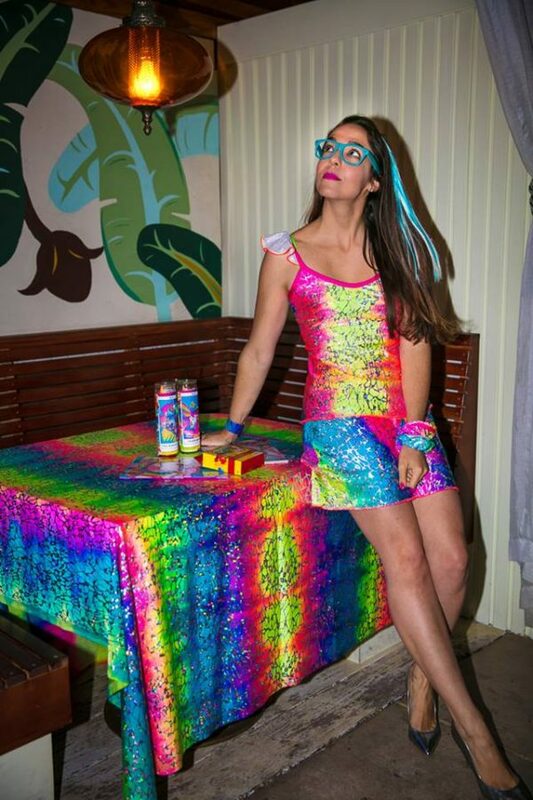 This outfit was commissioned by my friend Sara for another friend’s Lisa Frank themed birthday party in Los Angeles. 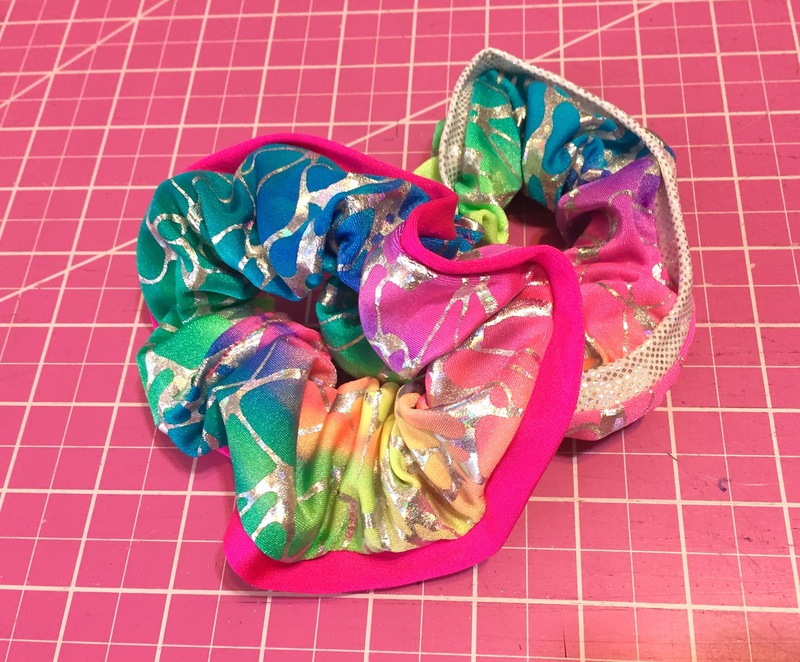 She sent the fabric and her measurements and one request: matching scrunchie! Inspired by the 90s theme, I went for a party recess concept that could only mean skort. 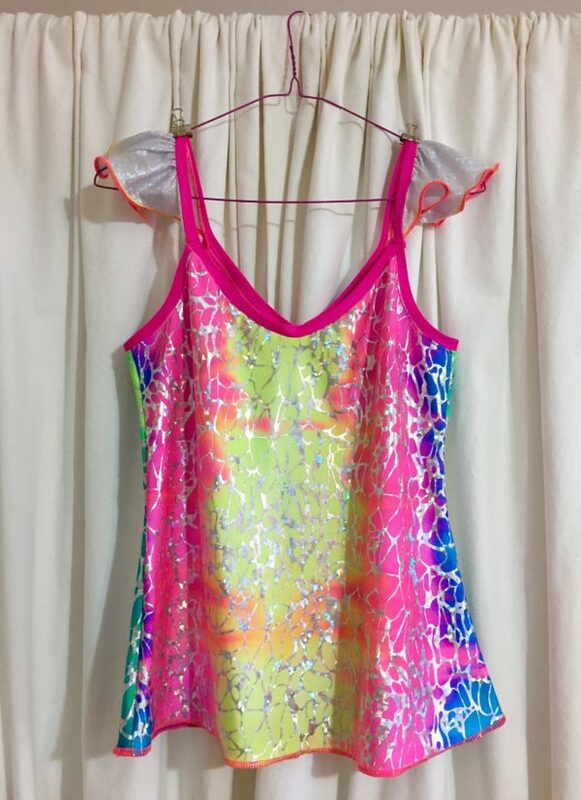 This one has a cotton lined crotch panel which makes it perfect for bike riding and grinding on the dance floor. 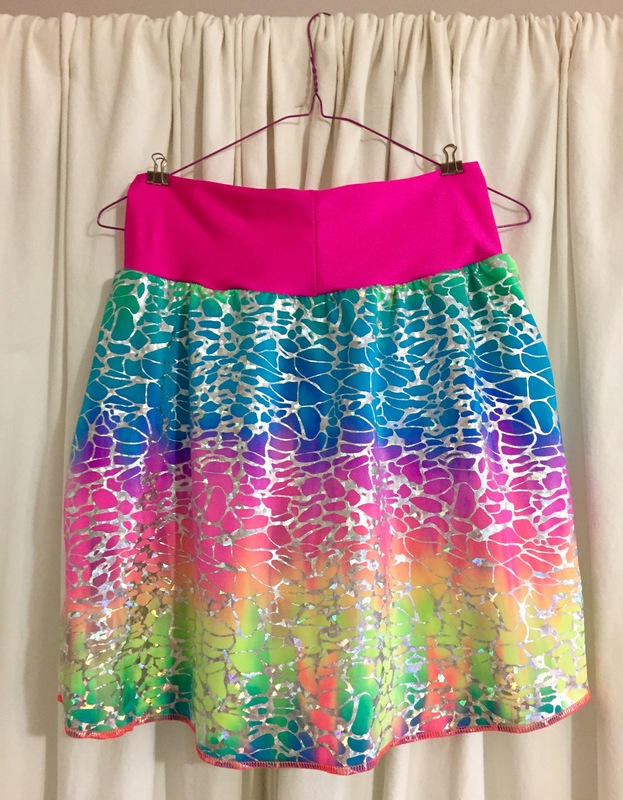 Of course there are pockets! 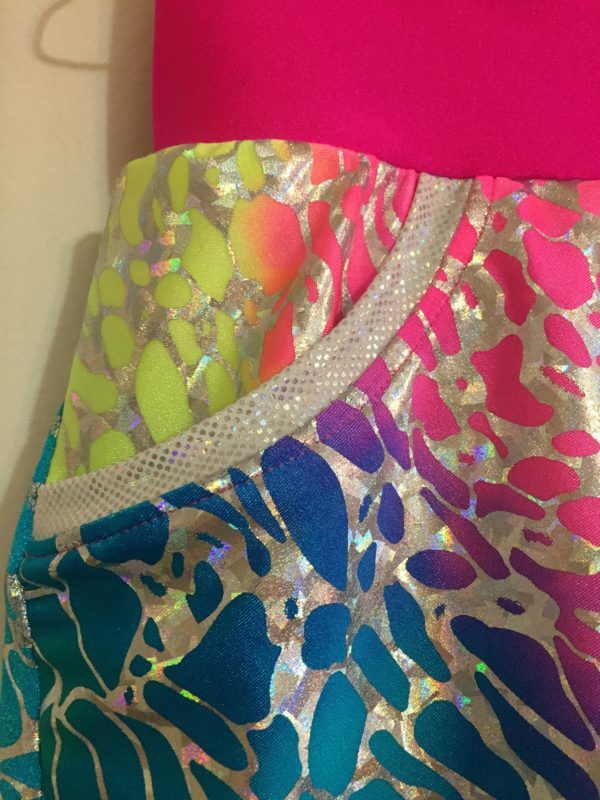 The tie die lycra has a holographic splatter all over it, which I enhanced with neon pink and holographic lycra accents. 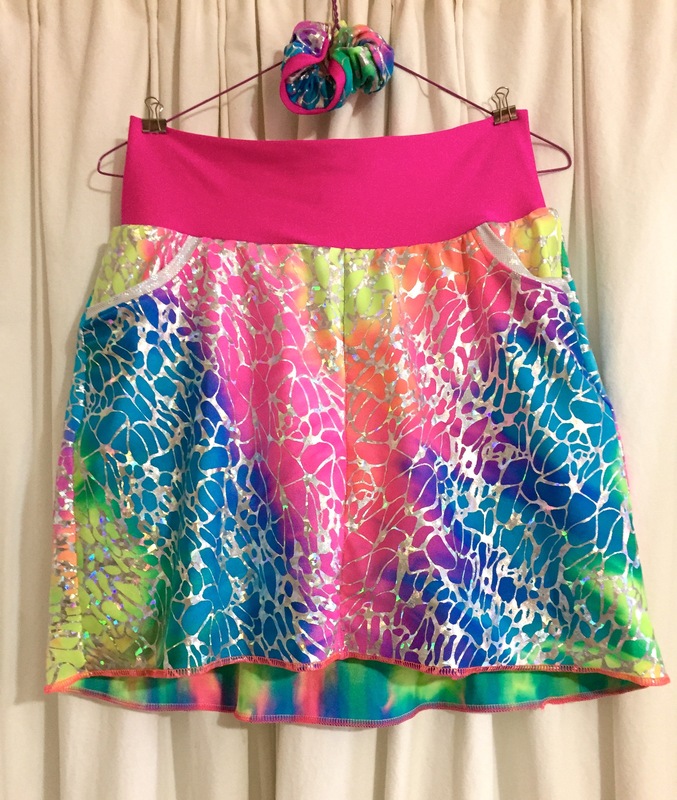 I used my serger to make a rolled hem with neon threads, to echo retro lettuce hemming, but kept the hems flat for a cleaner finish. 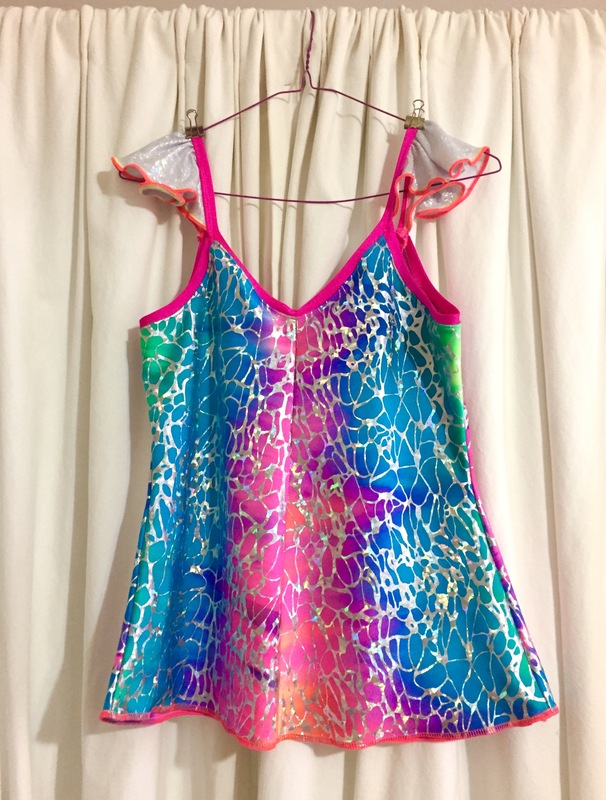 The top is reversible, depending on what colors she wants to feature on the front. 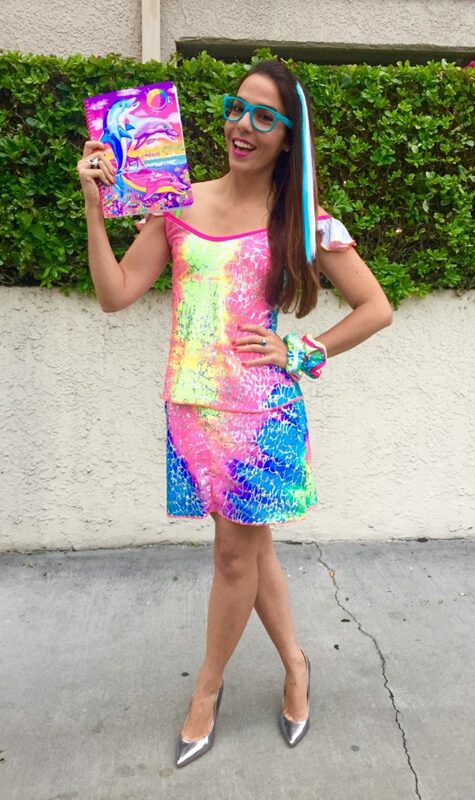 She totally pulls off the psychedelic trapper keeper babe look!